Joy Casino is one online casino operator that’s put a great deal of time and effort into the layout and theme of its website. It’s something that stands out right away. The steampunk theme and vibrant images and banners are quite a change from the usual sort of casino themes. In fact, the steampunk theme runs throughout every page on the website complete with plenty of sprockets, screws and metal plates. It’s something that’s totally unique to Joy Casino, and we think we kind of like it! This online casino is owned by a company located in Curacao called Pomadorra N.V. They are licensed and regulated by the government of Curacao. Joy Casino welcomes players from around the world and offers a varied and impressive selection of instant play games from an array of top-notch software providers. The website shows off a contemporary design and is available in a wide range of languages including English, Russian, Italian and many others. UK players can quickly and easily open a new player account at Joy Casino. You can even do so via the site’s super-handy social media sign up feature. Once you’ve gone through registration, which takes just a few minutes, and are ready to play, you can have tons of fun playing your favourite online casino games with the very generous £2,000 first deposit bonus along with a host of other promotions and a bag full of free spins, loyalty points and cashback. Joy Casino is no newbie to the online casino market. In fact, the website was first launched way back in 2004 to what was then a still young iGaming industry. Thinking about it, there are not as many casinos around with a decade of experience in the trade, which means Joy Casino offers the added bonus of having a reputation for longevity and quality gaming experiences. Over and above all that, this online casino operator ticks all the boxes when it comes responsibility, legitimacy and safety. Joy Casino makes use of top-of-the-range anti-fraud tools and SSL encryption software certified by GoDaddy. It also provides more than enough information to promote responsible gambling practises. But, no matter how many badges of validation or certificates an online casino operator shows off, nothing quite compares to reading about what the casino has to offer and how other players have found their gaming experience to be at Joy Casino. So, let’s take a closer look at what this online casino veteran has to offer. We know that different online casino gamblers have different tastes, especially when it comes to casino promotions and bonuses. This is one area where Joy Casino excels. Big time. At this online casino, you have the freedom to choose between higher bonuses that come with higher wagering requirements – but it’s still a pretty cool choice to have. That’s not all, though. The bonus terms and conditions depend a great deal on your minimum qualifying deposit. For example, you can choose to grab the 100% first deposit bonus up to £2,000 by making a minimum deposit of £500. Alternatively, you can opt for the 200% first deposit bonus up to £300 that requires a minimum deposit of just £30. There’s also a 200% bonus with your first deposit up to the amount of £50. Once all that’s decided, you can grab the second deposit bonus. This is a 100% match deposit bonus of up to £300 and the minimum qualifying deposit for this one is £40. It doesn’t even stop there! There are another three deposit bonuses that make up Joy Casino’s welcome bonus offer. The third deposit bonus is 50% up to the amount of £400. The fourth deposit is a 50% bonus up to £500 and the fifth deposit bonus is 25% up to an incredible £750. What’s more, once you deposit £20 or more, you get 200 free spins for 10 days! That’s 20 free spins a day over 10 days to try out all your favourite slots. Want more? Joy Casino is happy to give you more! There are plenty of other bonus deals for existing players. One thing really worth pointing out, though, is the tournament at Joy Casino along with the lottery tickets players are given with each and every deposit you make. That means you can benefit from an array of cash back offers and other nifty bonuses you may be eligible for. There’s always the chance to win spectacular prizes, too, all just for making a deposit! The promotions are updated regularly, to make sure you keep checking back so as not to miss out on any of the action. Each promo comes with its own set of terms and conditions, too. It’s important to carefully read through them to ensure you know what is expected, especially when it comes to wagering requirements and which games count towards playthrough. Playing your favourite online casino games for hours on end can be the best type of fun. And a casino’s selection of games is certainly one very important factor to consider before signing up. Depositing and withdrawing are another. At Joy Casino, you can enjoy a rather unique list of payment options. In fact, some methods are rather rare to come across at online casinos, like Wallet One and liqpay.com. Many of the banking methods are country specific, which means they won’t be available to all players. However, the usual options like Skrill, Neteller, MasterCard and Visa are all available to UK players at Joy Casino. What’s more, you can deposit in EUR or GBP. 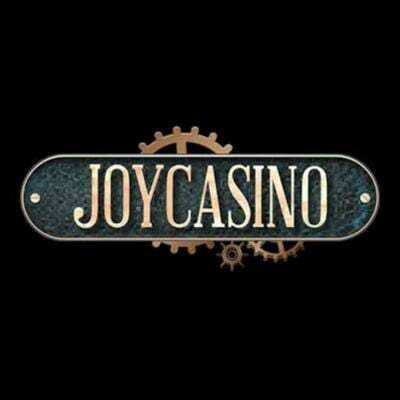 The minimum deposit required to play games at Joy Casino is just £10. When making your first withdrawal, you’ll need to provide certain verification documents. This procedure is put in place to protect your interest and to ensure the money is being sent to its rightful owner. Such procedures are also mandatory under certain regulations and laws. The maximum amount you can cash out at Joy Casino is £10,000 per month and the casino promises processing times of just a few hours. 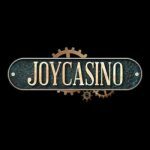 Once you’ve signed up with Joy Casino, decided which awesome welcome bonus to claim and made your first deposit, it’s to get down to business. And that business involved playing some of the best games available on the iGaming market from the likes of NetEnt, Microgaming and Betsoft. Besides these amazing gaming developers, you can also enjoy games from other suppliers for even greater diversity. At Joy Casino you’ll find a whole menu or memorable slot classics like Twin Spin and Starburst. You can also spin the reels of famous progressive jackpots such as Mega Moolah, Mega Fortune and The Dark Knight. If card games are more your idea of time well spent online, don’t worry, Joy Casino offers those, too! There are a number of versions of games like European Roulette, French Roulette, Double Exposure Blackjack and Blackjack Classic. There’s also craps, keno and baccarat. If you fancy something a little different to slots and table games, you can try your luck at the scratch cards and lottery games, or even the incredible and highly immersive video poker. Joy Casino’s live dealer section has an array of rooms for live roulette and live blackjack, along with several variants of those games. As a blackjack player, you might like to have a go at Common Draw Blackjack, Blackjack Classic or even High Roller Blackjack if you’re a high roller with big bets in mind. Whichever live dealer room you enter, you can look forward to professional and friendly dealers that do everything they possibly can to give you the superior gaming experience you expect and deserve from Joy Casino. Joy Casino has a mobile web app that works seamlessly on mobile devices, allowing you to play anywhere you want to, whenever you feel like it. It’s compact and neat. You don’t need any previous experience or knowledge with mobile apps to figure things out. Simply head over to your smartphone or tablet’s web browser, log into your Joy Casino player account and start playing. If you do prefer, you can download the site’s APK file and install the dedicated mobile app. This, however, requires a bit of knowledge when it comes to mobile apps and devices. The downloadable app is currently only compatible with Android devices. Joy Casino is licensed and regulated by the Malta Gaming Authority, UK Gambling Commission and the jurisdictions of Curacao. When it comes to player safety and security, Joy Casino has got your back. The website uses best-in-class SSL encryption software and an array of anti-fraud tools, so they’ve got all the bases covered to ensure your personal information and funds are completely secure. What’s more, this online casino has employed a number of highly reputable software developers who have many years of experience under their relevant belts and ensure the safety of their games. The casino also uses a random number generator for optimum gaming fairness. This casino has been around a long time, so it’s well-equipped to manage your data correctly. Joy Casino prides itself in offering helpful and kind customer support staff. If a question arises or you need help with anything, you can contact them via email. You’ll find the contact form on the site, or you can pop them a message of live chat. You can also reach out via their social media channels. Overall, Joy Casino is a pretty cool online casino. There’s a good variety of top-class games, including a well laid out live dealer section and a few fun casual games for times when you want to take a break from spinning the reels of playing the tables. What’s more, all the games have been optimizes for mobile play and every single aspect of this site is secure thanks to state-of-the-art safety technology. This is one casino we recommend checking out and grabbing all those free spins and a generous welcome bonus with both hands!